The classic photo book on one of America's most picturesque destinations, revised and updated. The Chesapeake Bay is the nation's largest estuary, stretching 185 miles from the Susquehanna River to the Virginia capes, touching more than 8,000 miles of shoreline. This country of mists and tranquil waters harbors a rare abundance of wildlife, as well as the last commercial sailing fleet in the United States--the famous skipjacks, or oyster-dredging boats. The bay and its rivers are home to isolated villages that preserve early colonial dialects; to historic plantations, such as Mount Vernon; and to considerable cities, including Washington, D.C., Baltimore, and Richmond. Beautifully photographed and written, Chesapeake Country tells the story of the bay in all its aspects: its waterscape and wildlife; its delicate ecology; its rich history as the seedbed of American liberty as well as American slavery; and its uncertain present, as the population of watermen who live by crabbing and oystering dwindles, and that of prosperous newcomers seeking a respite from city life grows. 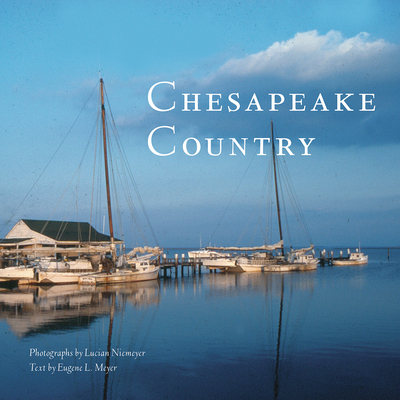 This new edition also discusses the future of the bay in the era of climate change and brings us up to date on the places and personalities that make the Chesapeake so unique. For those who live on the bay, Chesapeake Country is a celebration. For those who do not, it is an invitation to explore. And for everyone, it is a journey of discovery. Lucian Niemeyer, an award-winning photographer based in Santa Fe, has published numerous books on varied topics, including most recently Africa: The Holocausts of Rwanda and Sudan; Darfur; and West Virginia: Mountain Air. Eugene L. Meyer, a former staff reporter and editor for The Washington Post, has covered the people and places of the Chesapeake Bay for more than forty years. He is also the author of Maryland Lost and Found . . . Again.